Ocean view from the lanai while you relax. dine and enjoy the tranquility of the waves and beautiful tropical setting. 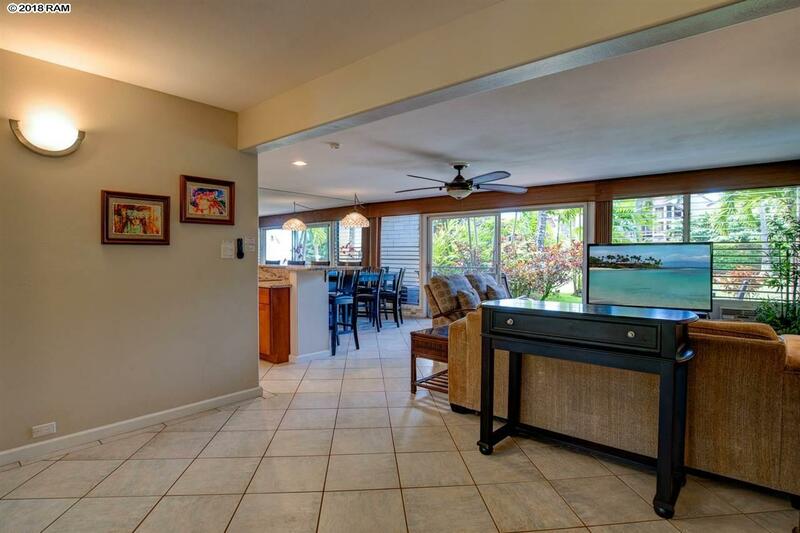 This bright spacious condo is tastefully decorated in a contemporary Hawaiian style. Upgraded designer cabinets, new stainless appliances, granite countertops, and large bar height breakfast bar. Located on the popular West side of Maui, the condo offers a great floor plan with lots of additional light emanating from the mirrored wall, sliding glass doors and the louver glass windows. This popular vacation rental is tastefully decorated and being sold furnished. Dont miss out on his amazing opportunity to own a turnkey vacation rental condominium in this boutique low rise complex with a swimming pool, cabana, and BBQ area. 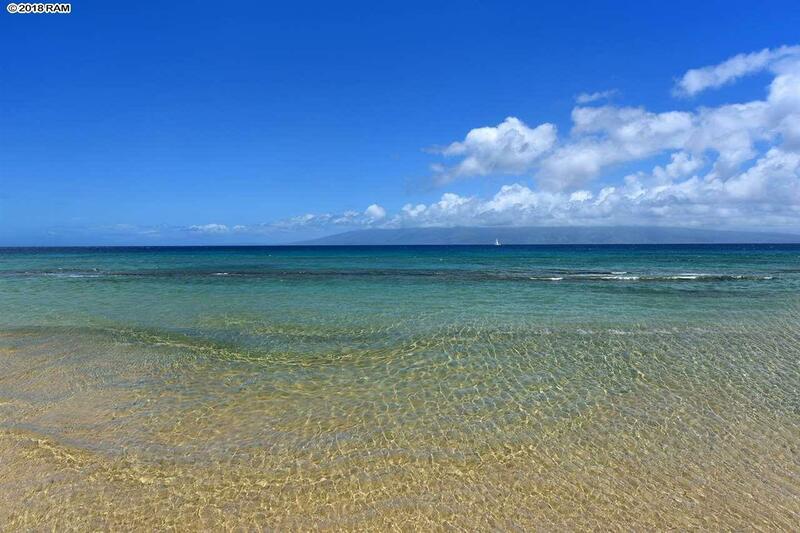 Enjoy year-round panoramic sunsets, turtle watching and seasonal whale watching from this oceanfront vantage point and North Kaanapali beach has easy access for water sports. The unit comes with an assigned parking stall, as well as a large individual storage locker. The condo complex features 56 units set on approx. 2.7 acres with many amenities including barbecue areas, swimming pool, and laundry facilities. 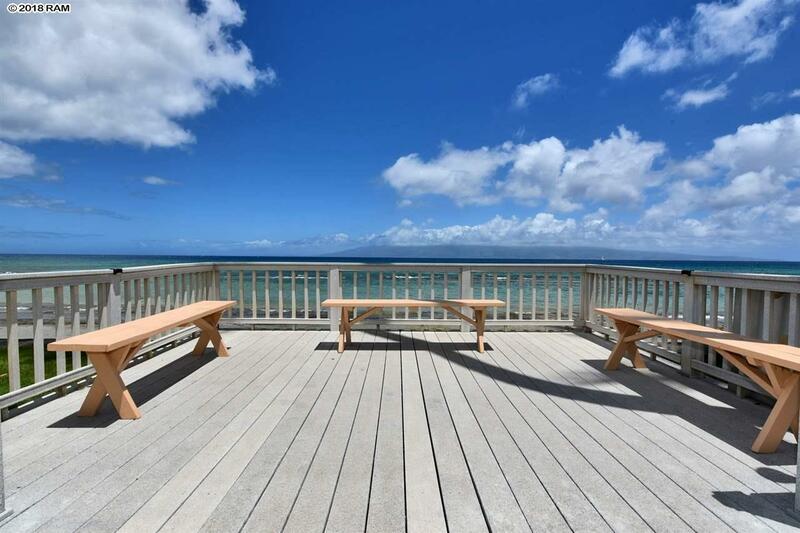 It is located in close proximity to the Kaanapali beaches, parks and shopping, grocery stores, and restaurants. 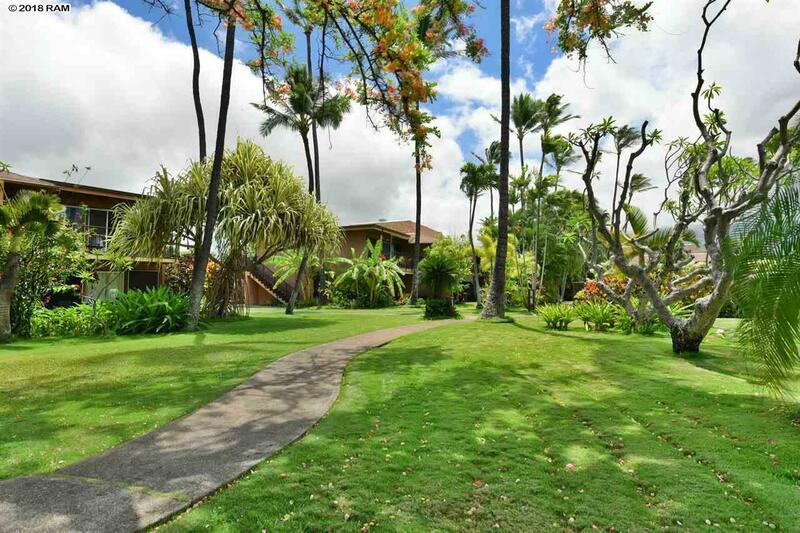 Located only minutes away from the Kapalua airport. Truly a great value in a superb location!